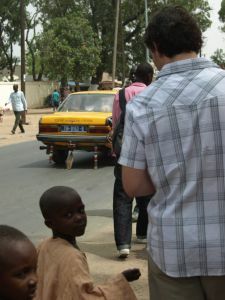 On their second day in Sénégal the students did a walking tour of Thiès and recorded some of their observations. 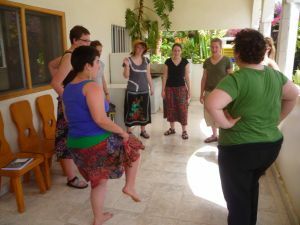 Photos for this posting were contributed by Kristen, Mary, Mayra, and Noah. 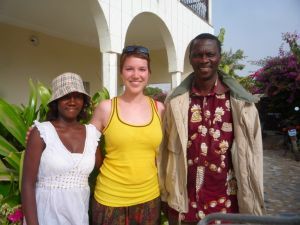 Ron and Sally Jo Milne are on location in Thiès, Sénégal, preparing for the students arrival on 29 April, 2010. 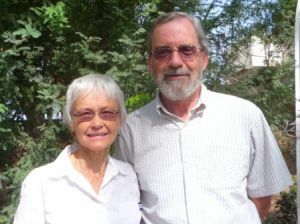 Ron, retired Professor of Mathematics, and Sally Jo, retired Librarian at GC, have led 5 SST units in the past: 3 in Haiti (1978 – 79), 1 in Côte d’Ivoire (1995), and 1 in Indonesia (2001). Thiès, a city of about 400,000 residents, is located 70 km east of the capital Dakar and played a significant economic role during the colonial era as a major railroad junction. These days there is a branch of the University in Thiès, and also a vibrant arts and music scene that can rival the best in Dakar in quality. This is the first time that the unit will be located in Thiès. All three previous units have been in Dakar.